While Ken Burns and Dayton Duncan’s six-episode PBS documentary series framed national parks as “America’s Best Idea”, that idea has not been limited to the borders of the United States. The world’s first national parks service was established in Canada; the world’s largest national park is in Greenland; the Mongolian government claims Bogd Khan Uul National Park as the oldest national park in the world, first designated for protection in 1783. The US model for national parks has obviously been influential in parks history, but to what extent was the national parks idea an international movement? 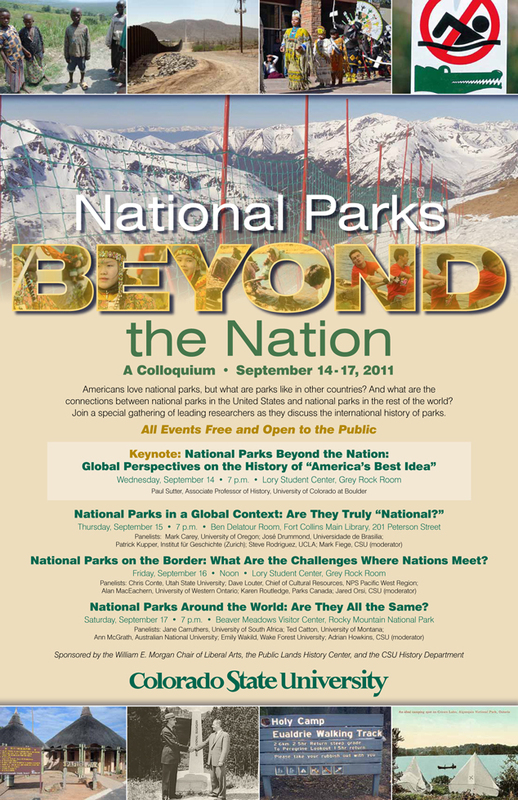 This past September, the Public Lands History Center and the Department of History at Colorado State University hosted an interdisciplinary colloquium that looked at the national park idea from a global perspective. “National Parks Beyond the Nation” brought twelve leading environmental history scholars together for a four-day workshop to explore their research on national parks in an international context. On this episode of the podcast, we speak with some of the participants from this workshop about their research on national parks around the world. Runte, Alfred. National Parks: The American Experience. Fourth Edition. Plymouth, UK: Taylor Trade Publishing, 2010.